Rugby has historically been seen as a ‘male’ sport. But the RFU, along with UoM’s Rugby Development Intern, Lucy Simper, are trying to change that. I sat down with Lucy, to find out what her role entails, and how rugby is changing at the University. Having being an active tennis player growing up, and captaining the University’s team, Lucy has always been involved in sport, earning her a place in the University’s exclusive XXI Club this year. She enjoyed playing so much while at University, that she decided to take a position in the Athletics Union after graduating as the Rugby Development Intern. 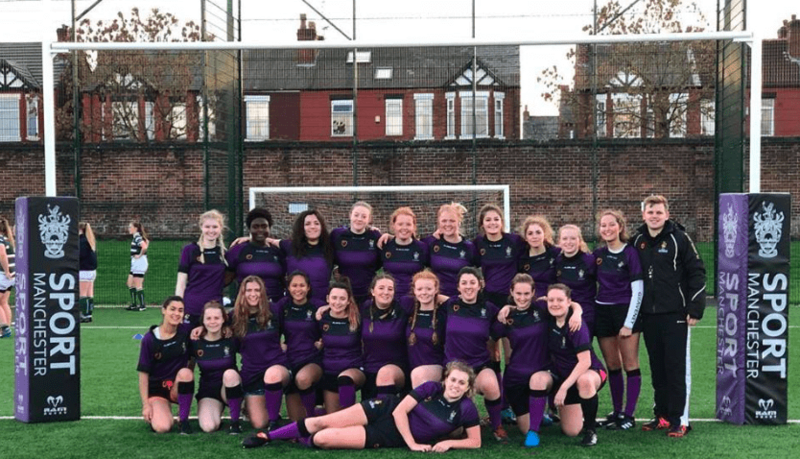 Her role covers both the University of Manchester and Manchester Metropolitan University, and is designed to help grow rugby at both institutions. But much of Lucy’s role is to increase female participation in the sport, stating that the goal was a simple question of “how big can we get this”? Alongside the first team, a second team means that there are now two teams competing in BUCS. This has been matched by participation, with 80 women now paying full membership. Lucy said that unfortunately “around 20 girls don’t get into the matches each week”. So there are plans to set up a third team to allow more players to get time competing. In the meantime, she has set up a development team to put on “additional events for girls who don’t get into the teams”. Some of these events are forging part of the Athletics’ Union This Girl Can campaign – which aims to get more girls regularly participating in sport. When asked why there is a lower participation rate for women’s rugby compared to men’s, Lucy said that girls “tend to think they need a certain physique to play rugby; many think they’re too skinny, or not strong enough”. But this certainly isn’t the case, and girls of all shapes and sizes have the potential to be great players, and have a great time while they’re at it. Lucy added that the one thing that really struck her was “the ethos of the club”. Explaining that “the girls are so supportive of one another” which creates an amazing atmosphere for new members. If you’re interested in getting involved in women’s rugby then check out their Facebook page to find out more.